UNITED STATES: Infrastructure fund management firm Copenhagen Infrastrcutre Partners (CIP) has acquired 100% of OffshoreMW from US private equity firm Blackstone. As part of the deal, CIP has acquired the rights to a 675 square kilometre offshore wind energy lease off Massachusetts, northeast US. OffshoreMW won the development rights to the site in an auction in January 2015. 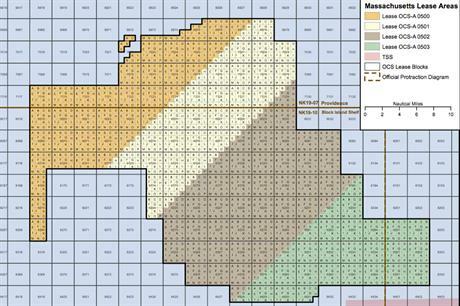 OffshoreMW placed a winning bid $166,886 for a the zone. CIP said it would continue to develop the project, expected to be up to 1GW in capacity, "by the existing local development team, supported by senior industry experts from Copenhagen Infrastructure Partners". Blackstone has now sold both its offshore wind subsidiary companies. In June, developer China Three Gorges acquired an 80% stake in WindMW, the development company owned by Blackstone to build and operate the 288MW Meerwind Sud/Ost offshore site in Germany, completed in 2015. CIP said the offshore project in Massachusetts is eligible to take part in the Massachusetts power offtake auction, expected to take place in mid-2017. Successful projects will be expected to supply the power by 2021. In early August, legislators in Massachusetts passed a bill requiring state utilities to buy 1.6GW of offshore wind power by 2027.